Cantor Gaming, an affiliate of the global financial services company Cantor Fitzgerald has launched CantorPoker.com, the latest addition to the company’s growing presence in the online gaming world. Now live on the Entraction Poker Network, Cantor Poker will offer new and existing customers the ability to play on various live money tables, up to 19 daily freerolls and numerous big bonus weekly tournaments, attracting thousands of players from hundreds of tables around the world. Cantor Poker offers a terrific 60% rake back incentive, representing double that of many competitors, incredible match bonuses and an easy download and registration facility enabling novice and experienced players to start playing within a matter of minutes. Players can either play for real money or for fun with tournament entry fees starting at €1 and going up to suit each player. Players will also have access to a 24-hour cashback service. Manu Gambhir, Managing Director of Cantor Gaming, said: “We are delighted to be able to bring poker to our customers as part of our expanding portfolio of games. We have already launched CantorCasino.com, giving customers the opportunity to play blackjack, slots and other games, so the launch of a sister poker site was the inevitable next step." 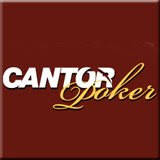 “Customers of Cantor Poker can expect to benefit from the highest standards of customer service and one of the most trusted brands, given our strong track record in serving customers in financial, sports and gaming marketplaces, “ he added. Although Cantor is best known as one of the leading financial brokerage firms in the world, its move into the gaming sector in recent years highlights the opportunity to transfer decades of experience in safe, secure transaction and payment processing, using cutting-edge technology, to the rapidly expanding online gaming markets.